The easiest way to describe the difference between physical therapy and occupational therapy is that a physical therapist treats the patient’s actual impairment, while an occupational therapist treats that impairment in action. 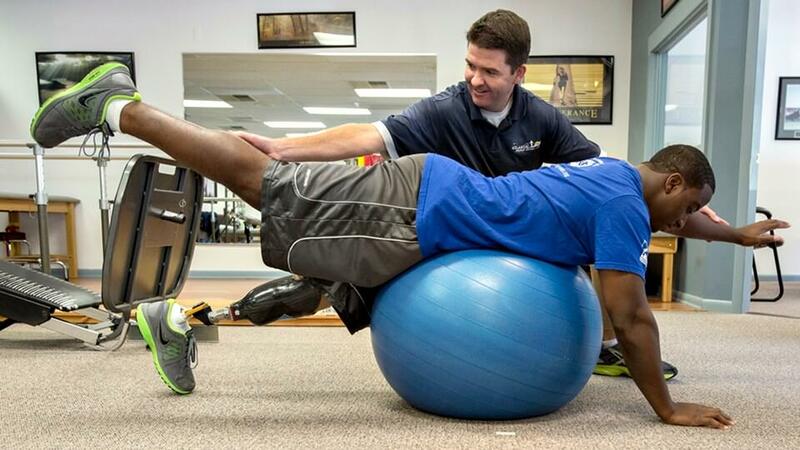 The PT tries to improve the impairment itself by increasing mobility, aligning bones and joints or lessening pain. The OT helps the patient complete necessary everyday tasks with the impairment. Doing so may involve applying new tools and techniques. The PT tends to be more focused on evaluating and diagnosing movement dysfunctions as well as treating a person’s injury itself. While an occupational therapist will often also do diagnosis, the physical therapist will be more likely to diagnose and treat the physical source of the problem; the injured tissues and structures. Cardiothoracic is the name given to the treatment of used asthma, chronic bronchitis, emphysema and others. Types of therapiesEach individual’s treatment is tailored to suit their specific requirements and a physiotherapist will choose from a wide range of therapies, including:Manual therapies – These can include, joint manipulation and mobilisation (which includes spinal mobilisation), manual resistance training, and stretching. Exercise programmes – such as muscle strengthening, posture re-training, cardiovascular stretching and training. Electrotherapy techniques – which consists of Transcutaneous Electrical Nerve Stimulation (TENS), laser therapy, diathermy, and ultrasound. As compared with Physical Therapy, occupational therapy tends to focus more on evaluating and improving a persons functional abilities. An occupational therapist often does not directly treat a person’s injury using techniques such as manual therapy or acupuncture-like a physical therapist would but more commonly helps a person optimize their independence and their ability to accomplish their daily activities following an injury or in situations of physical impairment. Occupational therapists often will directly treat injuries, but more even often occupational therapy focuses more on improving life skills and incorporating adaptive tools at times customized by the therapist. In some parts of the world occupational therapists utilize practices such as use of ultrasound in injury rehabilitation, much like a physical therapist does. Consider a patient recovering from knee replacement surgery. His PT would likely assign various exercises to improve mobility with the new artificial knee and to ease post-surgery pain and stiffness. His OT might teach him how to use a wheelchair in the early stages of recovery, then help him practice going up and down stairs on the new knee. 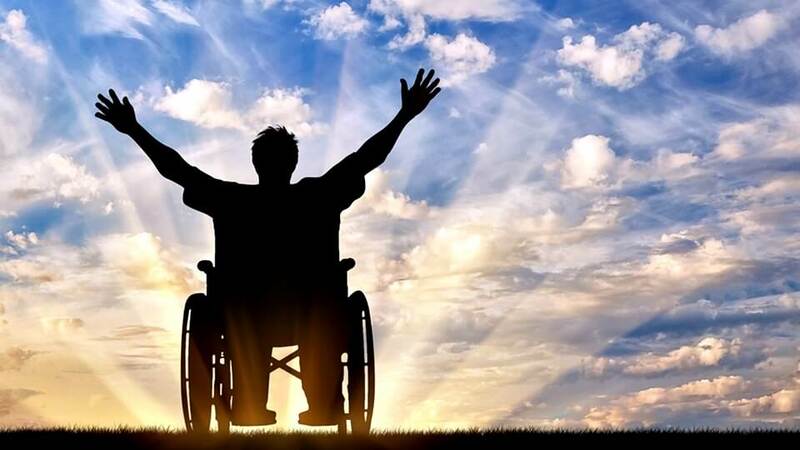 Or, in a nursing home, the physical therapist may help a patient stand from a wheelchair and maintain standing balance, while the occupational therapist assists her in performing hygiene tasks at the sink. Often, PTs and OTs/OTAs collaborate closely to help the patient achieve a full recovery. Massage therapy is a technique utilized by certified practitioners and involves techniques for moving muscles and soft tissues of the body. Massage therapy techniques may include, but are not limited to, friction, kneading, gliding, percussion, vibration, compression and passive or active stretching within the normal anatomical range of movement.” The most common forms of massage applied by massage therapists are Swedish massage, deep tissue massage as well as trigger point therapy. 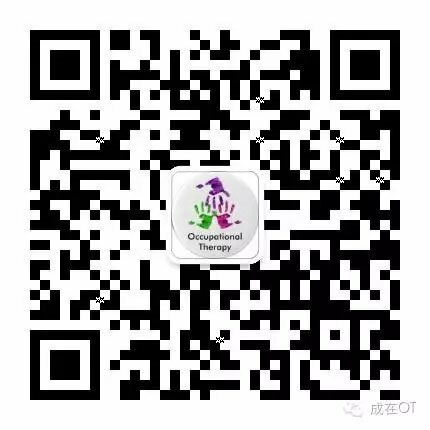 標注：關於e-health，有一段解釋：eHealth is the use of information and communication technologies (ICT) for health. Examples include treating patients, conducting research, educating the health workforce, tracking diseases and monitoring public health. 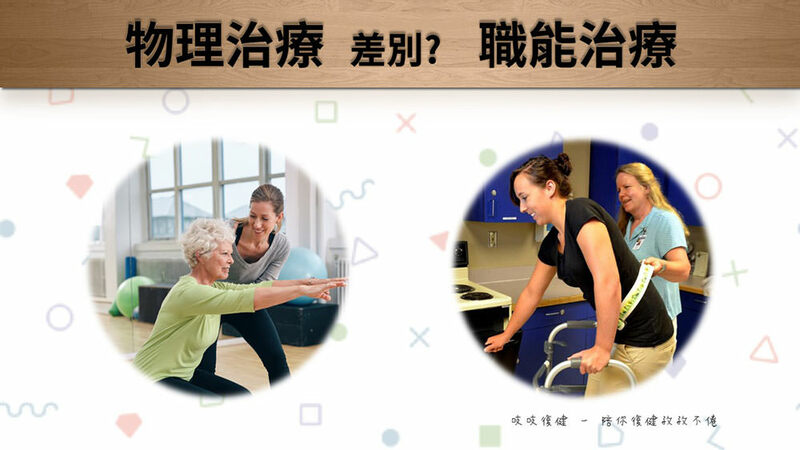 Amazing comparative analyses of the essence of two allied Health professions, we are PT & OT somewhat like non- identical twins in the rehabilitation/ health spectrum…..Yes, read both the Chinese & English versions: spotted some words which may be better in either versions..
Inspiring to many OTs experiencing identity crises in financially restraints macro environment. We have grey overlapping areas but this healthy overlapping enables clients transition smoothly in different sectors..
Just differentiate what is supporting, like Putty is warm up only, versus what is core focus, functional movements and occupational tasks to work reconditioning/ return to community living….. Hold on tightly to the core, OCCUPATIONAL amidst adverse conditions…..
Keep our OCCUPATIONAL roots heritage amidst chaos…..BRAVO…..Good fruitful sharing…..
KEEP THE OCCUPATIONAL THERAPY SPIRITS ALIVE!